Indian Institute of Technology (IIT) Hyderabad’s Department of Liberal Arts has launched a Minor in ‘Artificial Intelligence (AI) and Humanity’. AI has been an exciting area of research and innovation for the scientific community for the better part of a century now. As the influence of AI on everyday lives is growing exponentially this Minor aims to understand, question, and shape ways in which AI technologies are being incorporated into the fabric of everyday life. A Minor is a specific program to be taken along with a Major course to complement the skills and career opportunities of a student. 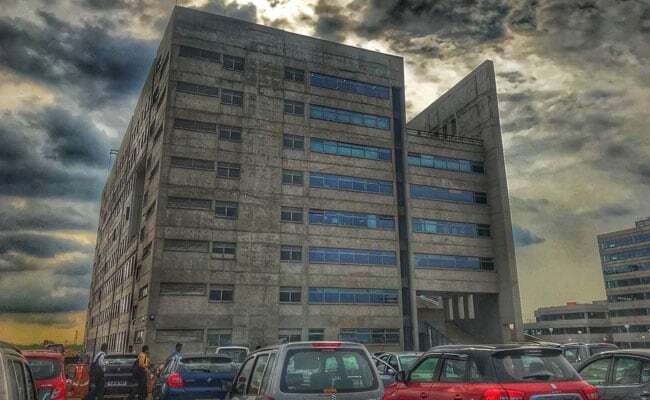 The AI and Humanity Minor at IIT Hyderabad will expose students to exciting opportunities and challenges presented by AI, said a statement from the Institute. “Students will benefit from thinking beyond the purely technical aspects of AI: humanities and social science scholars will team up with engineers and designers to offer wide-ranging interdisciplinary perspectives on AI and Humanity as part of this newly launched Minor by the Department of Liberal Arts,” the statement said. “There is so much excitement about AI these days, about their transformative potential in terms of ushering in nothing short of a fourth industrial revolution. And indeed, we are already beginning to see the permeation of AI-based chatbots and such into routine everyday transactions,” Dr Aalok Khandekar, Assistant Professor of Anthropology/Sociology, Department of Liberal Arts, IIT Hyderabad, said while speaking about the unique aspects of the Minor. “Many of the projected uses of AI are also really exciting: I was recently involved in discussions about what AI might mean for pursuing sustainability goals, for example. And several wildlife conservation experts that I spoke with are truly enthused by the possibilities that machine learning can enable in terms of cataloguing biodiversity,” he added. At the same time, however, Dr Khandekar said that there were also daunting challenges that AI poses to questions of privacy, equity, labour, and jurisprudence: How, for instance, do we rethink fundamental categories such as risk and liability-cornerstones of how we have organized the insurance industry for so long-in the case of autonomous vehicles? With greater penetration of AI, what kind of market disruptions are we likely to witness-in countries like India especially, where the vast majority of the labour force continues to work in the informal sector? How should we best manage such disruptions? According to the Institute, the AI and Humanity Minor at IITH is among only a handful of such initiatives globally in wanting to proactively take on these questions-more in the mode of collectively figuring out rather than having pre-made answers to pre-defined problems (as is often the case in teaching programmes). “And we do this through interdisciplinary lenses, through a focus on technology-in-the-making rather than conducting post facto analyses”, said Dr Khandekar. The AI and Humanity Minor is open to students from the second year onward. The 12-credit Minor includes foundational courses in the history, philosophy, sociology, and psychology of technology, as well as courses focusing on the social, political, economic, and legal implications of AI, at a global scale. As part of the AI and Humanity Minor, students will also undertake team-based project work, supervised jointly by faculty across liberal arts, design, and engineering departments, to further explore the socio-technical dimensions of AI.